A boiler is a steel pressure vessel in which water under pressure is converted into steam by the application of combustion. 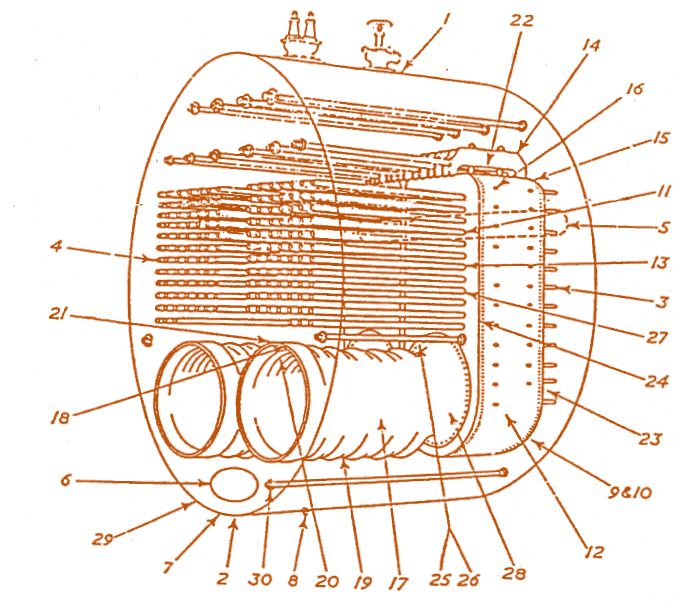 In other words, it is simply a heat exchanger which uses radiant heat and hot flue gases, liberated from burning fuel, to generate steam and hot water for heating and processing loads. Hot flue gases flow inside tubes that are submerged in water within a shell. Have a water wall at the back of the boiler in the area where combustion gases reverse direction to enter tubes. Refractory is used at the back, instead of a water wall. Internal maintenance is simplified, but refractory replacement is expensive and overheating, gauging and cracking of tube ends at the entrance to return gas passages often cause problems. Water flows through tubes that are surrounded by hot combustion gases in a shell. 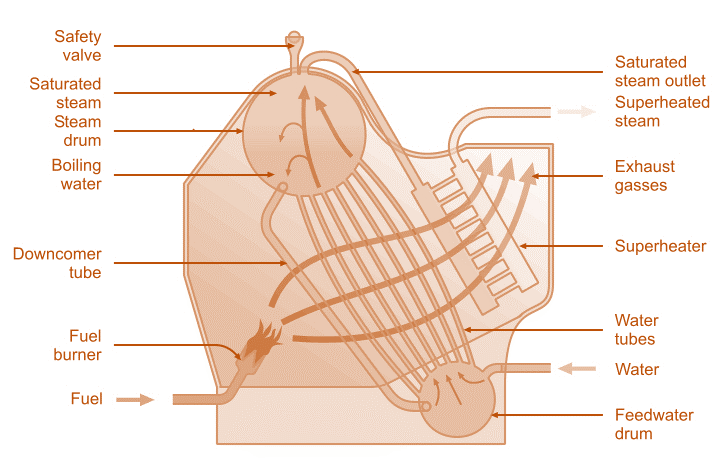 some advantages are gained over the low pressure steam heating systems previously used. 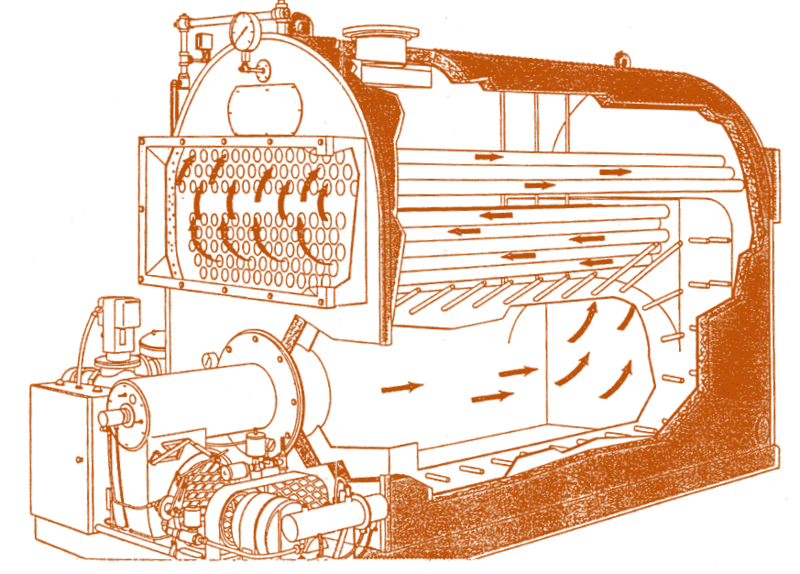 In other cases, special forced circulation boilers have been designed, which consist of many rows of tubes without a steam drum. In another type, heat is supplied by steam from a standard type of boiler which heats the water in a direct contact heater. This is referred to as a cascade system.